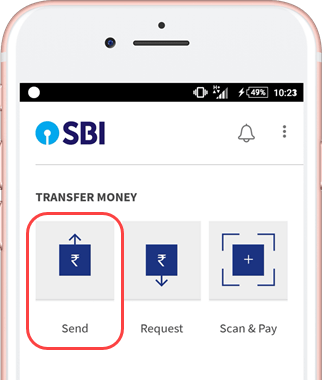 To send money online now you don’t need anyone bank account details like account number, IFSC code, person name, MMID or others. You just need one thing to send money to any bank bank account and that is — Aadhaar Number. 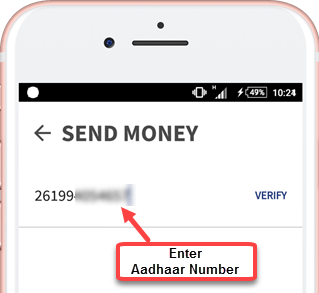 Yes, you heard right, now you can send money to any bank account holder through aadhaar number if beneficiary account linked with his/her aadhaar number. No need to ask his/her banking details. Rohit want to send Rs.100 to his friend mohit bank account. Mohit bank account linked with his aadhaar number. Now Rohit will open BHIM Application, type mohit aadhaar number and send him Rs.100. Mohit will received his money within seconds. Remind you Recently Government of India along with NPCI has launched BHIM (Bharat Interface for money) mobile banking Application. BHIM is UPI (Unified payment interface) Application and you don’t need any bank account details to send money online. First you need to install BHIM Application, this application available on Android, iOS platform. To register, BHIM send sms from your mobile phone, make sure sms sent from your bank registered mobile number. Now BHIM showing bank accounts that linked with this mobile number, select your account and you are done. Now set UPI PIN using your Debit card for transaction rights. Ok, now we will send money using aadhaar number. 1 First tap on Send. 2 Next screen enter beneficiary 12-digit aadhaar number. (Make sure this aadhaar number linked with bank account), now tap on verify. 3 Next screen enter amount which you want to send & tap on Pay. 4 Now enter UPI PIN to confirm the transaction. Done! your money will send to beneficiary account within seconds. As you see i haven’t used any bank account information, i just used beneficiary aadhaar card number. 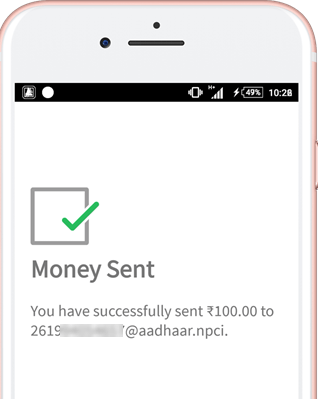 So this is the simple and fast procedure to send money online using aadhaar number. Currently this facility available on BHIM and aadhaar Pay Application, soon other banking application will also implement this feature on their mobile banking platform. now a days all banks are updating our aadhaar number in all of our bank accounts. then what do you mean by transfer to bank account that is linked to aadhaar number??? esp when my aadhaar no is updated in 8 accounts in various bank accounts…. My aadhaar linked with multiple bank account. Now if someone send me money using my aadhaar number, the money will be credited to my account which linked recently with my aadhaar.